BOOM! 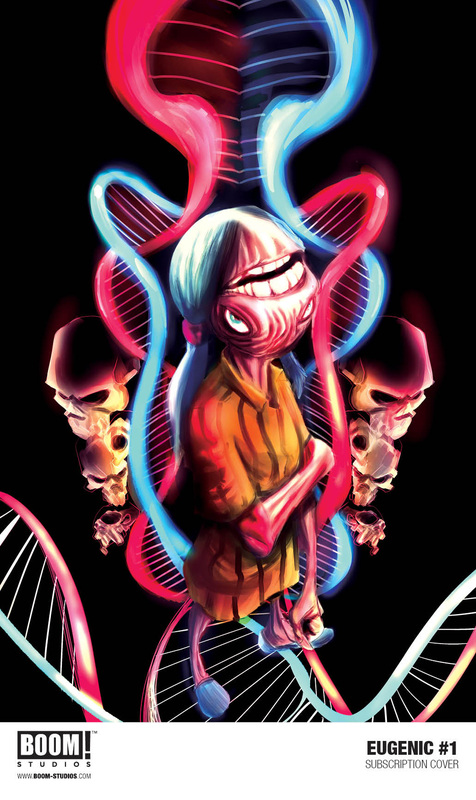 Studios is excited to announce EUGENIC, a dark vision of humanity’s future from the award-nominated team of critically acclaimed writer James Tynion IV (The Woods, The Backstagers) and artist Eryk Donovan (Quantum Teens Are Go, Constantine: The Hellblazer). The limited series is the third installment in the duo’s Apocalyptic Trilogy, following 2014’s Memetic and 2015’s Cognetic. 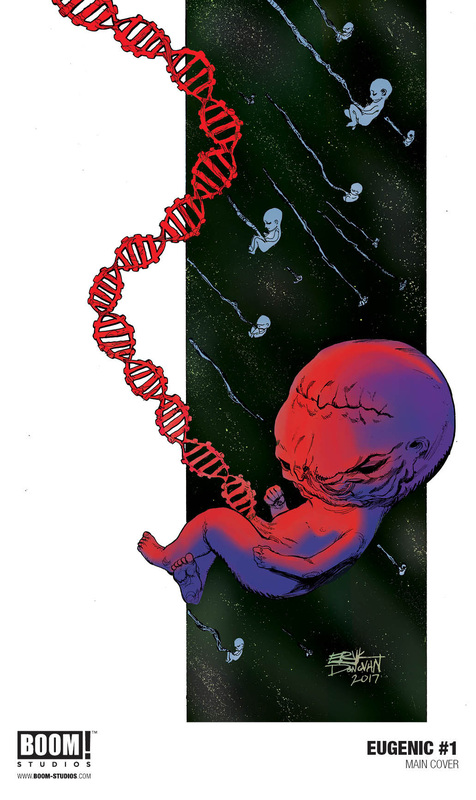 Like those series, Eugenic will feature three, oversized, 48-page issues and debut in October.